From primary schools to universities, educational institution flooring endures constant traffic. While busy students don’t typically think about what concrete epoxy or other floor coating system may be beneath their feet, you do—and it has to be one that lasts. Students may not notice the easy-to-clean skid resistance that’s built into their classroom flooring, nor the fact that the restroom’s antimicrobial floor resin and integral cove base can help control pathogen growth. Whether or not young scholars perceive are aware, the hidden features of a high-performance floor coating system are critical for years of durability, cleanability and bold, beautiful aesthetics. Spaces adapted to the needs of students and staff support successful study habits, and the right floor coating system can help. Safe, brightly colored school flooring can help create a positive learning atmosphere for young children. 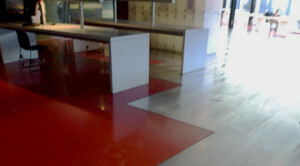 Resinous floor coatings in more subdued tones can promote concentration in older students as well. A neat, clean environment makes a noticeable improvement to your school—you can even add a school or team logo to encourage school spirit. Chemistry laboratories, mechanical rooms, sensitive electronics storage and medical research facilities are just a few of the places where specific performance properties are required of floor coverings. Even food service areas and sports arenas present challenges that only well-engineered polymer resin floors can meet. Thanks to our full-scale R&D lab and top-notch product development team, our institutional concrete coating line is one of the most comprehensive on the market. Extensive lab and field tests prove time and again that Florock has the right high-performance solution for your educational institution flooring needs. Over time, school flooring can become degraded, incur chips, uneven areas, scaling and other problems. Damaged concrete floors pose a risk for students, teachers and visitors to the facility. Safety is always a concern and helping prevent slips, trips, and falls is of utmost importance. In addition, small areas of floor damage can grow quickly when exposed to daily wear-and-tear, spilled liquids or lab chemicals, and corrosive cleaning products. Luckily school flooring can be restored, updated, and made safer and easier to clean thanks to the broad selection of Florock products. From the most utilitarian looks to those with modern, trend-forward finishes, school flooring that’s past its prime can be replaced with one of the many new options available. Even concrete substrates demonstrating significant deterioration can often be economically refurbished to an environment-enhancing finish. Budget-friendly and exceptionally durable, our school flooring systems can update the appearance, cleanliness and overall safety of your facility. The school flooring installed in your facility should be slip-resistant as well as easy to maintain. Seamless flooring allows for any area to be quickly and efficiently mopped or machine scrubbed, without concern for the unsanitary grout lines evident in tile floors. In addition, Florock offer a number of special features, including the ability to improve or create a floor slope toward kitchen, restroom or locker room drains. Every school floor area can be customized to match the planned usage of the space. The durability, longevity, and slip-resistant qualities of our school flooring systems help make the environment safer and more sanitary. 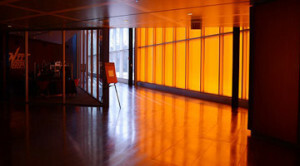 For slip inhibiting school flooring in high-traffic entries, auditoriums, or meeting rooms, consider the new metallic “faux stain” options for an aesthetically pleasing, modern appearance possessing exceptional durability and superior life cycle value.